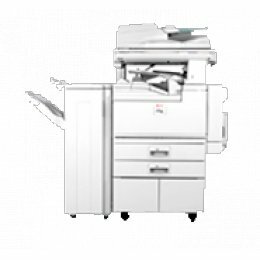 The versatile Ricoh Aficio MP 3500 copier is a digital copier that supports advanced network printing scanning and faxing in one compact platform. Plus industry-leading security technology protects your business information at every stage, so using this Ricoh Aficio MP 3500 copier is to the advantage of your business. Scan Once, Print Many with fast, clear output at 35 ppm.